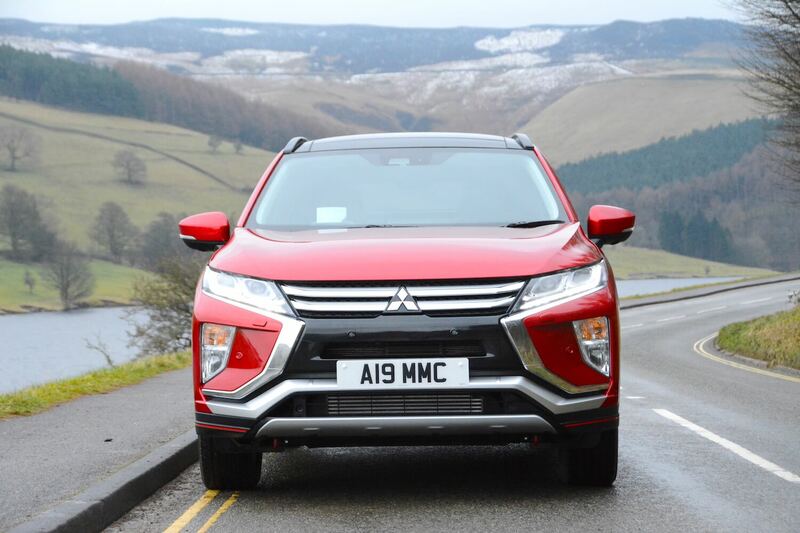 Mitsubishi describes itself as a ‘4WD brand’, and over recent years it has achieved sales success by combining a 4WD offer with a plug-in hybrid powertrain in the form of the Outlander PHEV. Now we have a mid-size SUV with the Mitsubishi Eclipse Cross. Here are our first impressions from the UK launch. 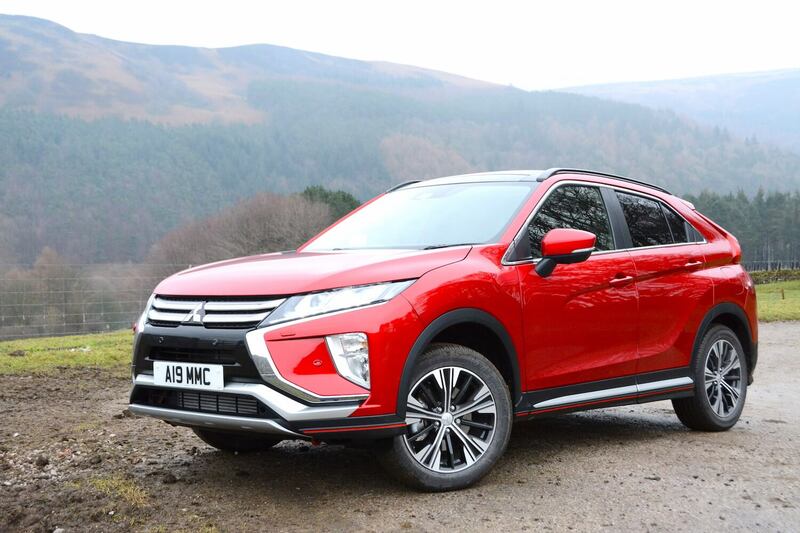 Visually the Mitsubishi Eclipse Cross looks similar to the Outlander from the front, but rather than the traditional SUV estate body style at the rear, the Eclipse Cross has a coupe-like profile. The interior also has some visual similarities with the Outlander, but is mostly new, and aims to push the quality upmarket. There’s only one engine available, an all-new Mitsubishi-developed 1.5-litre turbo petrol. All-wheel drive models come with a CVT transmission. 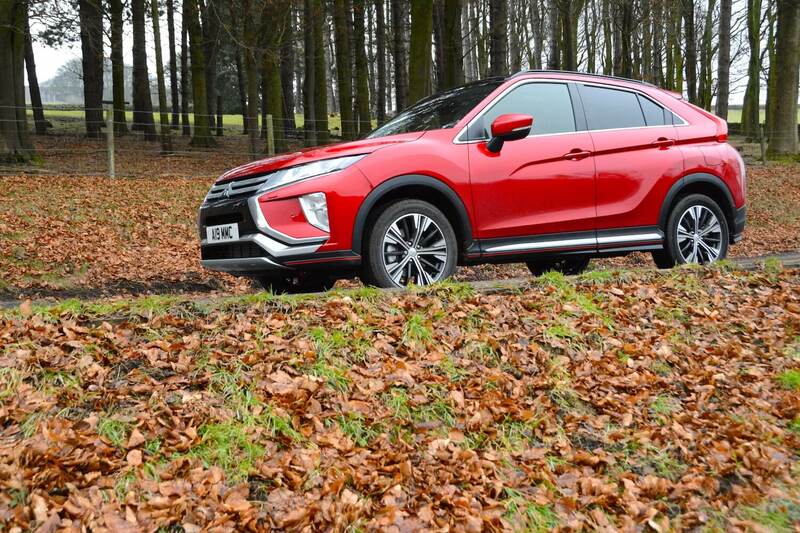 The Mitsubishi Eclipse Cross feels like the design brief was to combine an all-wheel drive platform with an agile driving experience, and to ensure as much refinement as possible. 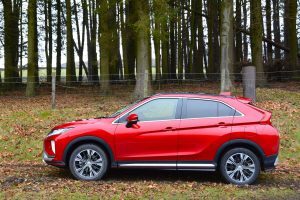 Our initial drive suggests that it has largely achieved that brief; the steering is reasonably direct and responsive, the ride is generally comfortable, and the handling is tighter than its big brother, the Outlander. The only engine option is a 1.5-litre petrol with 163hp, so in a vehicle that weighs 1550kg, you’re left with the impression that the styling promises sportiness, but this isn’t quite delivered with this power unit. 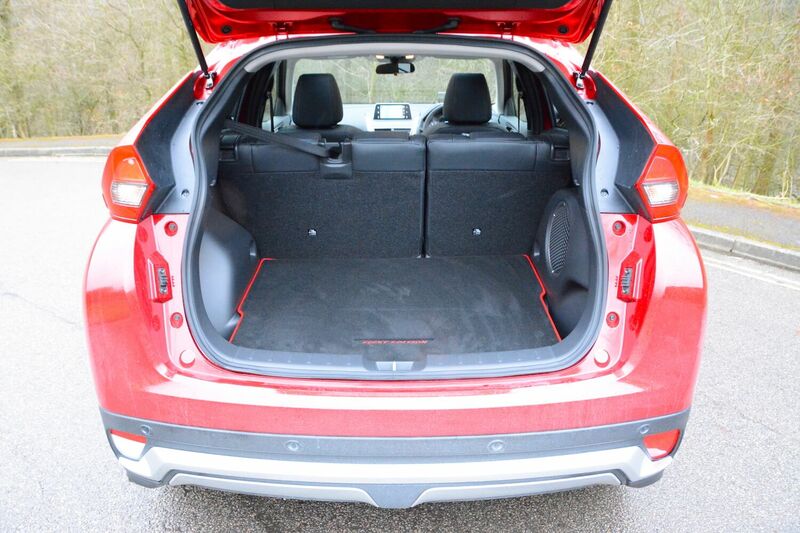 The all-wheel drive model is only offered with a CVT gearbox. 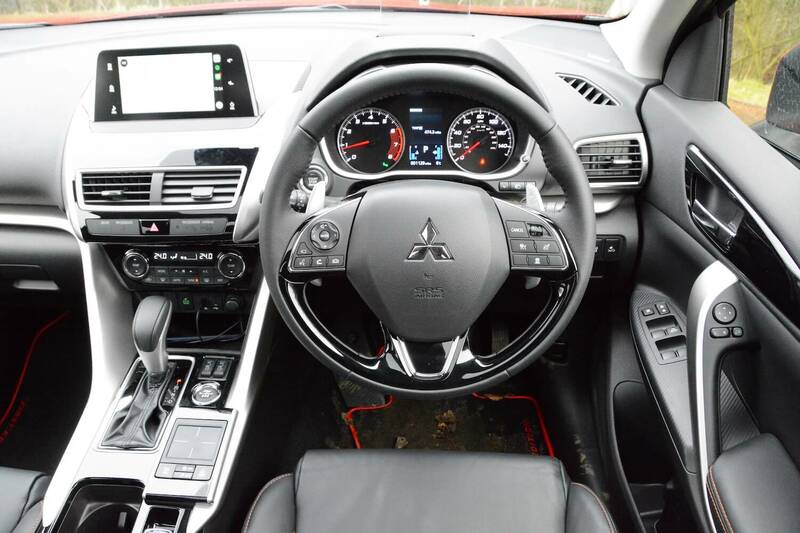 Mitsubishi says that this CVT is a new design, and that it’s better to drive than ‘traditional’ CVTs that you may have previously experienced in cars from other manufacturers. After our initial drive we would agree with this comment; in most conditions it works very much like a traditional automatic gearbox, and you can even ‘change gear’ using the steering wheel-mounted paddles, although the shifts are actually simulated gear changes (because it’s a CVT). However there were some occasions when you could feel that it was a CVT rather than an automatic; there wasn’t always an immediate response if you needed to overtake quickly, and there were a few instances when it seemed a little slow to pick up from standstill when manoeuvring. The AWD Eclipse Cross features Mitsubishi’s S-AWC (Super-All Wheel Control) vehicle dynamics control system. This has three drive modes: Auto, Snow and Gravel. The system is normally front-wheel drive biased (80:20 front-to-rear), but it can shift torque to the rear wheels if needed – to a maximum of 55:45 front-to-rear in Auto mode, or to a full rear-wheel drive bias in Snow or Gravel drive modes. 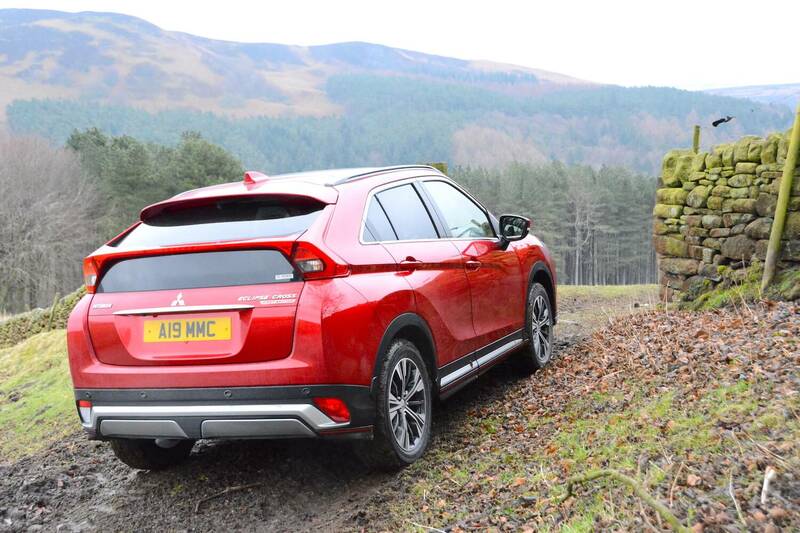 A genuine rarity in this class of vehicle, the Eclipse Cross was fitted with tyres with some off-road capability; based on our experience with an Outlander PHEV over six months, we would expect the Eclipse Cross to be more capable off-road than most of its competitors, although we weren’t able to test this on the launch event. The dashboard shares an overall design likeness with the Outlander, but it does feel more ‘premium’. However an interesting decision is not to offer the Eclipse Cross with satnav. 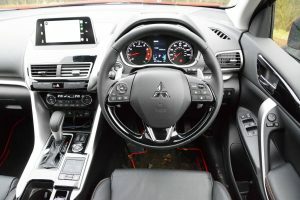 Mitsubishi claims that most owners will have smart phones, so you can connect your phone to the infomedia system to use Google maps for navigation. The Mitsubishi Eclipse Cross First Edition 4WD Auto has an official combined NEDC fuel economy figure of 40.4mpg, equating to 159g/km CO2 emissions. This is what you might expect for a petrol, all-wheel drive, 1.5 tonne SUV – in other words, it can’t be described as class-leading, but there are certainly less efficient SUVs out there. On the limited driving distance on the launch event it wasn’t possible to conduct a real-world economy test – we would hope to do that over a week in the near future. 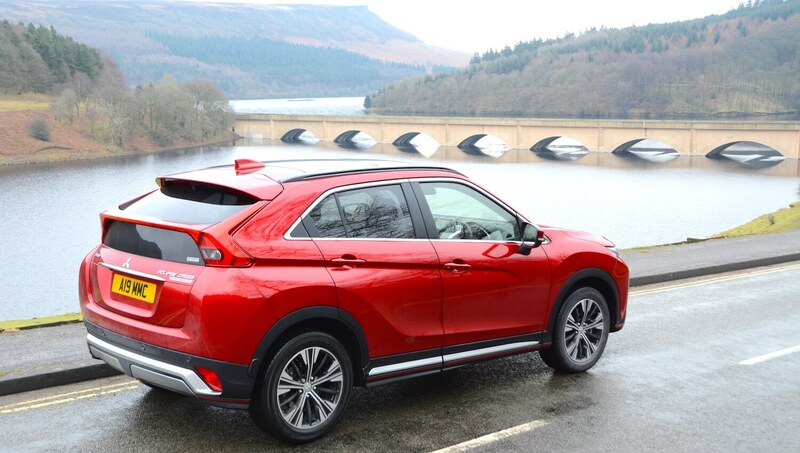 The Mitsubishi Eclipse Cross comes with just one engine choice, the 1.5-litre turbo petrol. This is available with the CVT transmission in front-wheel drive and all-wheel drive models, and with manual transmission in front-wheel drive models only. Trim levels are 2, 3, 4 and First Edition – all spec levels offer the option of AWD apart from ‘2’ trim. Pricing starts from £21,275 for the Eclipse Cross 2 Manual, rising to £29,750 for the Eclipse Cross First Edition 4WD Auto. It’s worth noting that there’s also the Mitsubishi ASX, which is smaller than the Eclipse Cross – although not that much smaller. 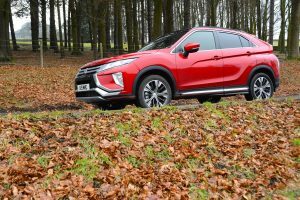 Our initial drive of the Mitsubishi Eclipse Cross 4WD Auto suggests that it’s a competent all-round car in a segment that’s experiencing significant growth. Therefore it should do well in terms of sales. 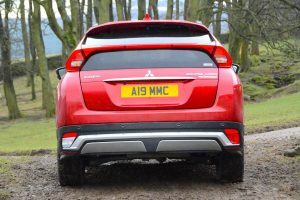 However there’s lots of competition in this class, and you’re left with the feeling that the Eclipse Cross will certainly appeal to people who understand the virtues of the Mitsubishi brand – including off-road capability with the AWD model – but it may be more of a challenge to convert large numbers of drivers from other brands. 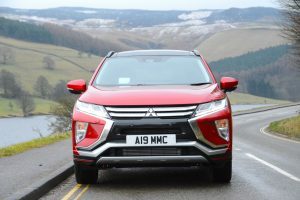 One way to achieve this, as proven by the Outlander, would be to offer a plug-in hybrid powertrain option; the technology already exists within the Mitsubishi ‘parts bin’, and it would give the Eclipse Cross a unique selling proposition in the marketplace. We’re well aware that a plug-in hybrid isn’t the most economical powertrain in real-world driving for many people (and it’s heavier and more costly), but as our six-month test of the Outlander PHEV showed, if driven on battery power for as much time as possible, it can offer decent economy, lower emissions, and cheaper running costs. 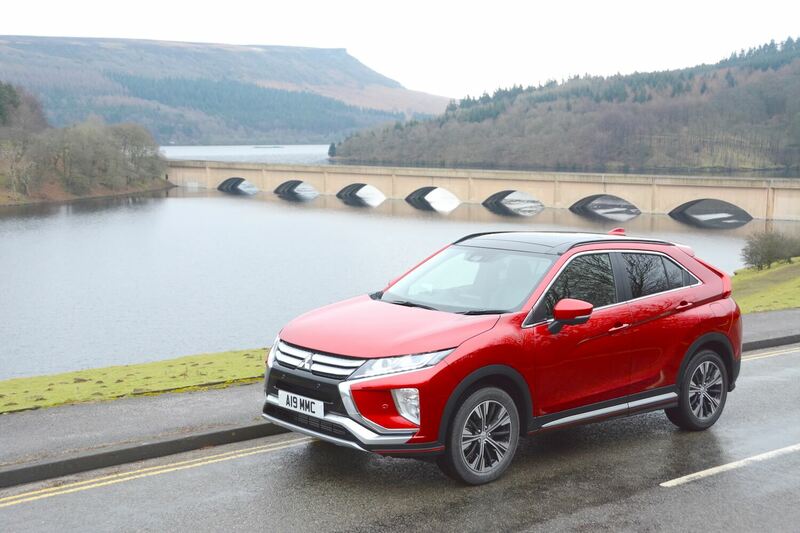 However there are currently no plans for an Eclipse Cross PHEV. 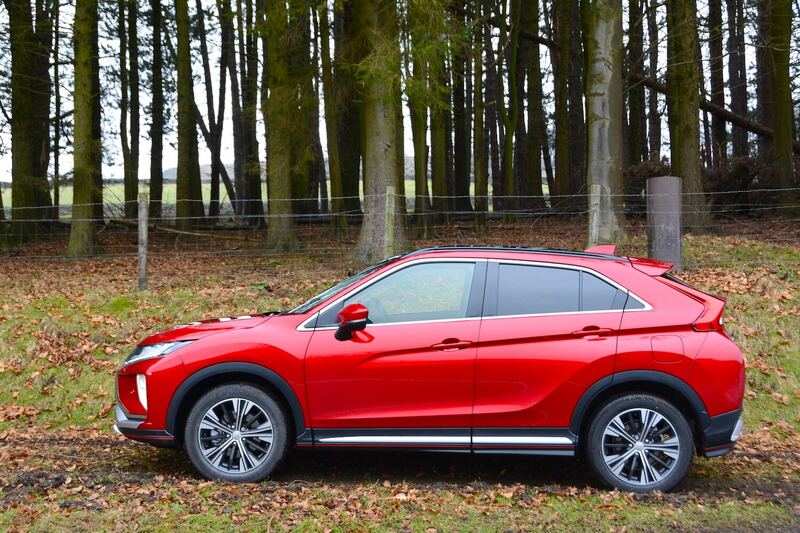 We’re hoping to live with a front-wheel drive Mitsubishi Eclipse Cross for a week soon, so we’ll report back on real-life economy then, but in the meantime the Mitsubishi Eclipse Cross First Edition 4WD Auto is awarded a Green Car Guide rating of 7 out of 10. 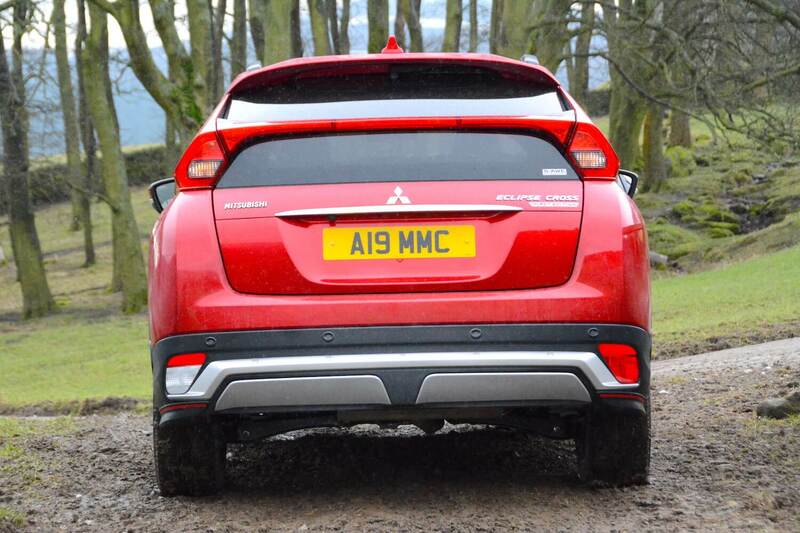 MITSUBISHI OUTLANDER PHEV LONG-TERM TEST REPORT 1 – WHAT DO WE WANT TO FIND OUT? MITSUBISHI OUTLANDER PHEV LONG-TERM TEST REPORT 2 – HOW DOES IT WORK? 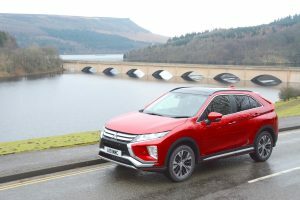 MITSUBISHI OUTLANDER PHEV LONG-TERM TEST REPORT 3 – WHAT’S IT LIKE TO DRIVE? MITSUBISHI OUTLANDER PHEV LONG-TERM TEST REPORT 4 – CAN IT REALLY ACHIEVE 150MPG IN REAL-LIFE? 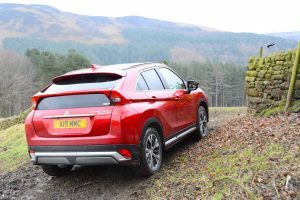 MITSUBISHI OUTLANDER PHEV LONG-TERM TEST REPORT 5 – IT IS ANY GOOD OFF-ROAD? MITSUBISHI OUTLANDER PHEV LONG-TERM TEST REPORT 6 – WHAT’S IT LIKE TO LIVE WITH? 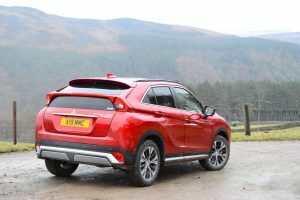 MITSUBISHI OUTLANDER PHEV LONG-TERM TEST REPORT 9 – CAN IT SAVE YOU MONEY?